Memory Maker, is it worth it? Ever go on a vacation or even a family event and every picture is missing someone? You never would know that so and so was on that trip with you because there's no pictures to prove that they were there. Well, Disney has made sure that will not happen on your trip to Walt Disney World with Memory Maker. In my opinion, you don't want to miss out on this product. You'll want to purchase it before heading to Walt Disney World so you can save $30. I know that it's a little pricey even with that $30 off, but it is so worth it in the long run. If you decide to purchase after you're at Walt Disney World, it will cost you $199. You'll want to purchase before your trip, not just to save some money, but so that you don't miss out on any of the great pictures that you can get. This won't replace all the adorable pictures that you'll get on your own, but will add to them. I personally took almost 1,000 photos on my own and we had over 300 photos through Memory Maker. You also get some special videos that you would never know about if you didn't have this product. 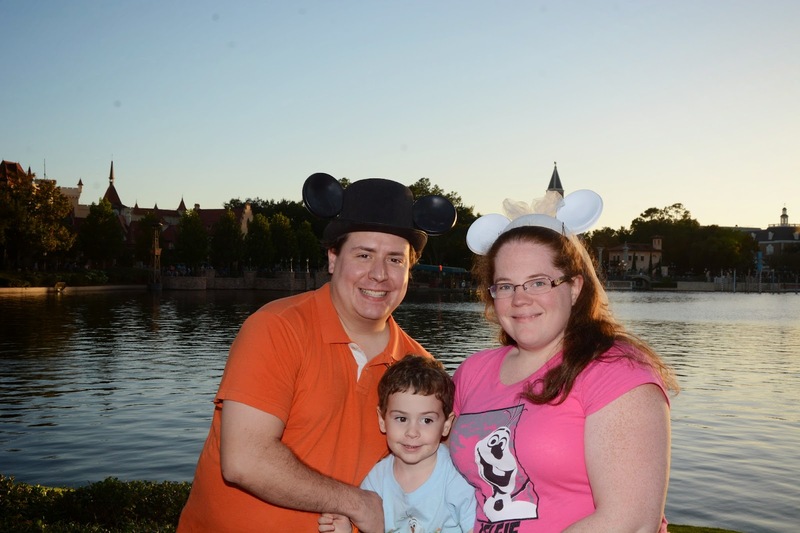 Photo taken by a Disney photographer. 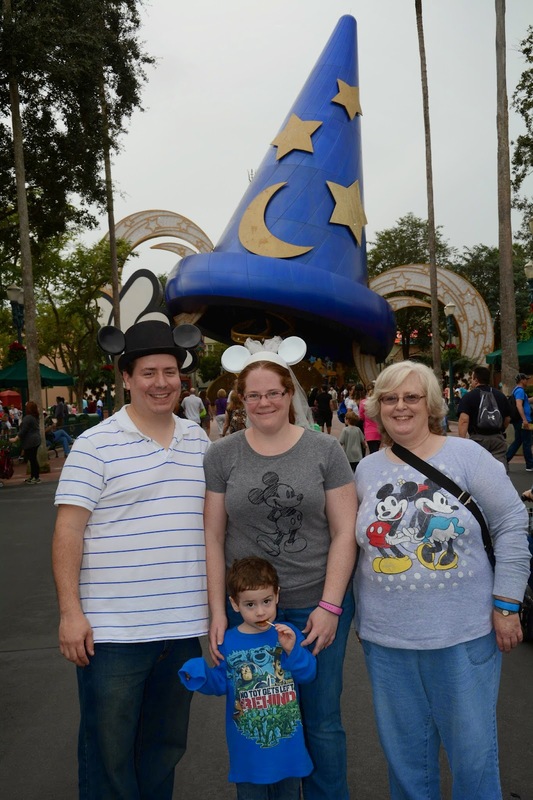 If it wasn't for Memory Maker, we wouldn't have gotten this picture in front of the sorcerer hat at Hollywood Studios with the whole family. This will be a special picture since the hat is currently being taken down and will no longer be there. To use the Memory Maker, you just need to go up to any Disney photographer (they're pretty obvious, but they have a Disney PhotoPass patch on their shirt) and ask to get your picture taken. Once they are done, if you're staying on property you'll scan your magic band. If you're staying off property, they'll scan your park ticket. The photographers are not just stationed at the entrance of each park, and trust me there's several so if one's busy just keep walking and you'll find another one, they are all over the parks. This picture we weren't sure how it would turn out since the photographer was facing towards the setting sun. This is one of my favorite pictures from our trip. Taken at Epcot in the World Showcase. They are also at every character meeting spot. All the pictures I used for the autograph book (Making your own Disney autographer book) I made for Michael were from our Memory Maker. 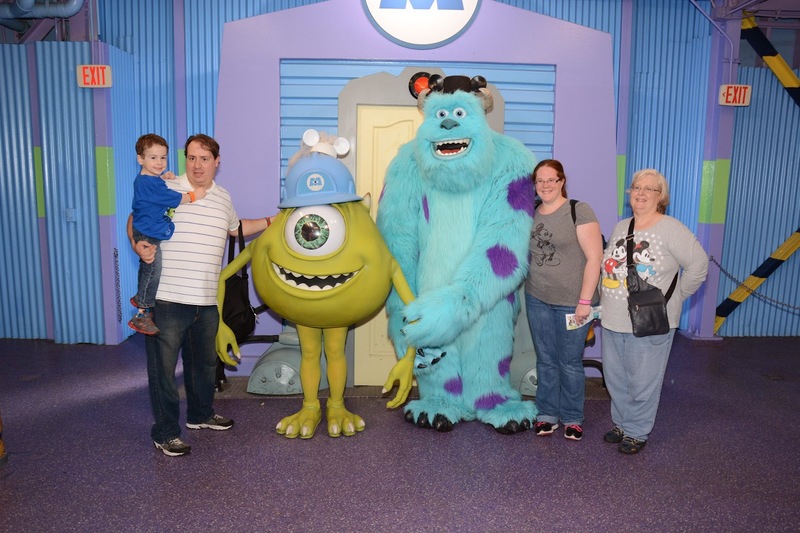 Here we met Mike and Sulley from Monsters, Inc at Hollywood Studios. Yes, Mike is wearing my bride hat and Sulley is wearing Jon's groom hat. The photographer was able to get shots of Sulley ripping my hat that was bobby pinned to my head off and then putting it on Mike's head. One downside is that they are not at every character dinning. The three that we went to, we had to take the pictures ourselves. You also can get all the pictures for the rides that you would normally have to purchase individually. 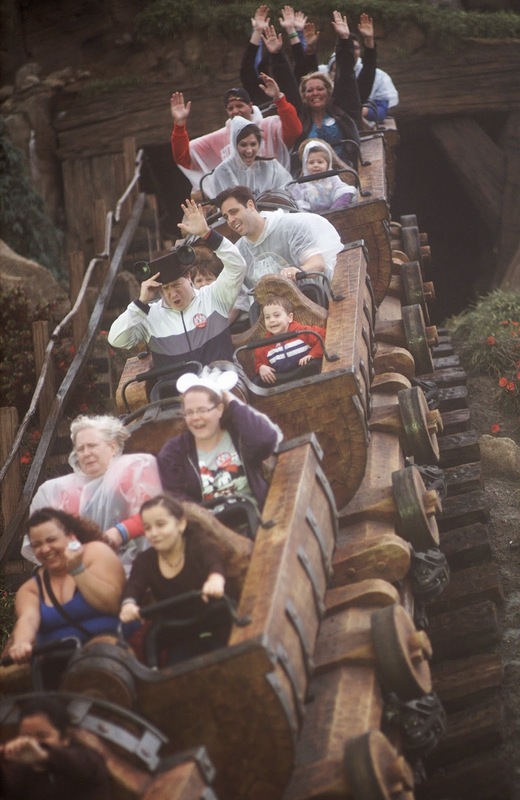 This is from the new Seven Dwarfs Mine Train ride at the Magic Kingdom. We didn't even know that pictures were taken. At the older rides, there's a place that you can view the pictures and then scan your card/band to make sure it's added to your Memory Maker. When we got back to our room every night, I logged into my account to see what the pictures looked like. If you have a My Disney Experience account already, that's the login information for Disney PhotoPass. Everyone that's linked togther in your party can use their cards/bands each time pictures are taken and can view the pictures. Only the person that purchased Memory Maker can download the pictures and purchase an archived disc with all the pictures and videos. One thing that we did not know about until after we were home and had purchased the archived disc is that if you have a child scanning their card/band, make sure that the person that purchased Memory Maker has the ability to manage that child's account through My Disney Experience. 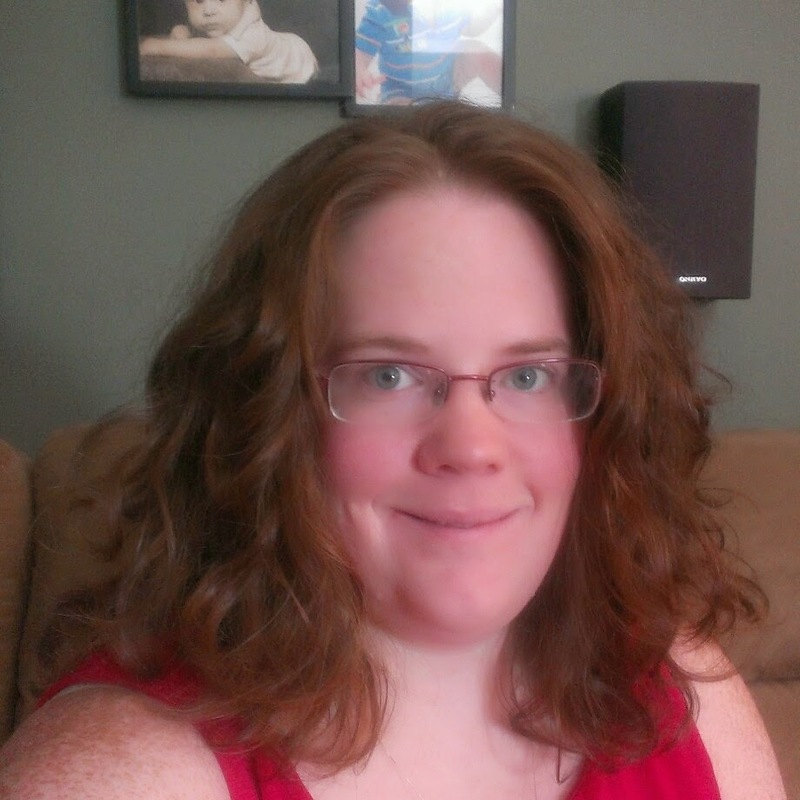 Not all the pictures were on our first archived disc. My mom called Disney about this and they were able to fix it. They sent us another disc at no extra cost with all the pictures. 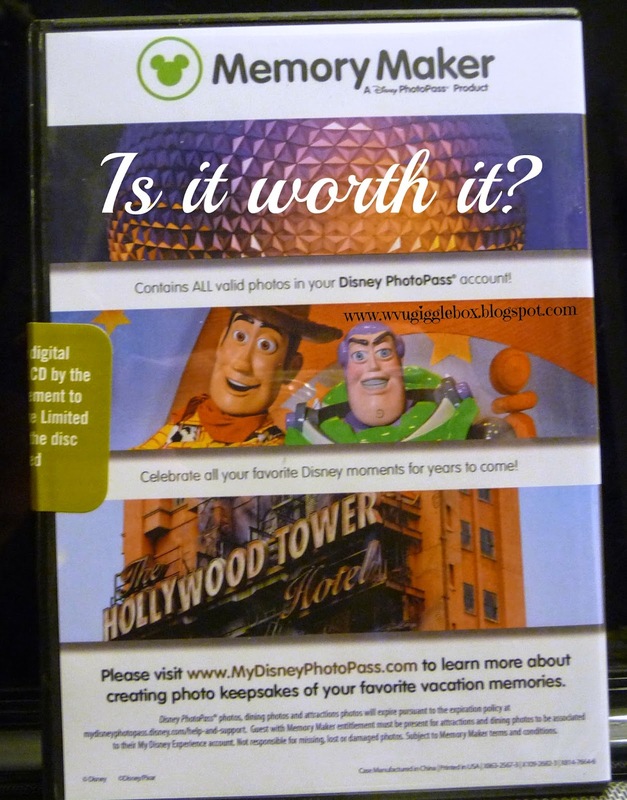 The next time we go to Disney, I will definitely be purchasing Memory Maker. If you calculate it, we had over 300 pictures and paid $169 so that makes it out to be less than $0.50 per picture. So worth it when you think about all the great family pictures we got and that everyone was able to be in the pictures if they wanted to be.